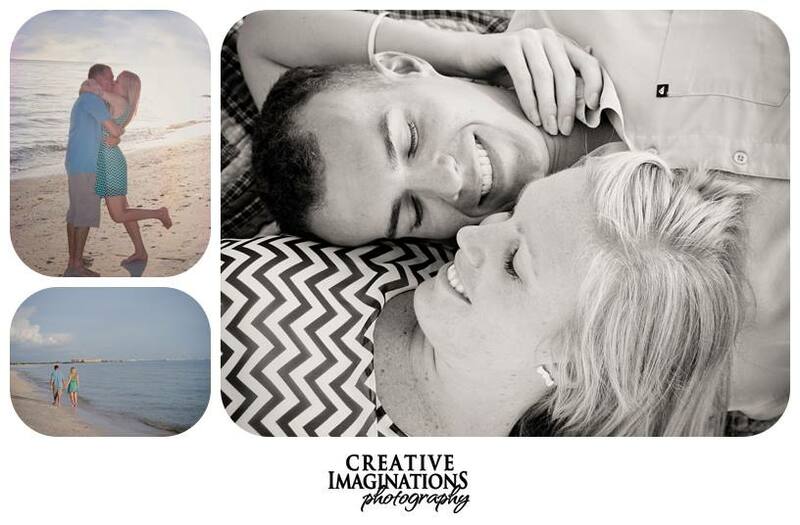 Kelly of Creative Imaginations Photography has shared a great informational post about Your Engagement thru Life. 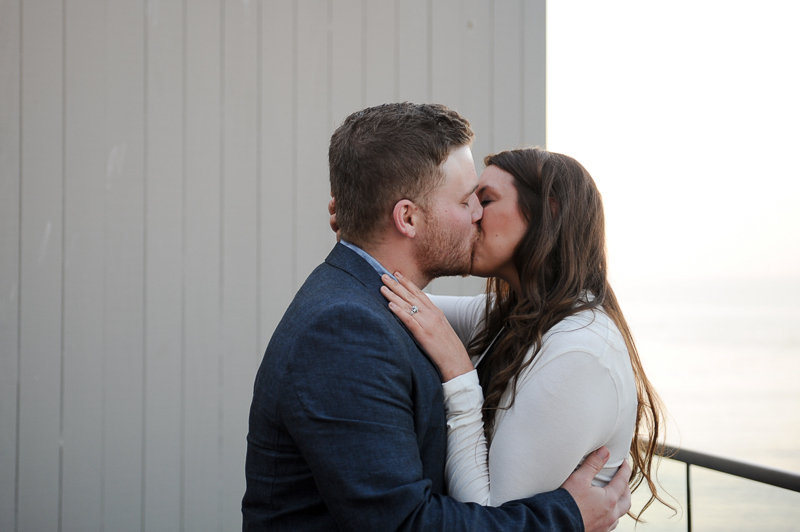 Having a connection or bond with your photographer is very important since they will be with you all day of your wedding, plus maybe even throughout your lives together to capture other life events. From experience, I Layla, have been at weddings where the photographer made my friend, the bride, cry because they were bossy, mean, and not friendly! Or they didn't have a great rapport with large group photos and made everyone stressed out. You don't want that to happen, so make sure you think about this relationship and if you really like the photographer before you sign any contracts! When you find the right one you just know, this is the one person who is perfect, who fits your every need and … who will be your photographer for all of time. Ok, ok, we know, it generally doesn't work like that but wouldn't that be fun. 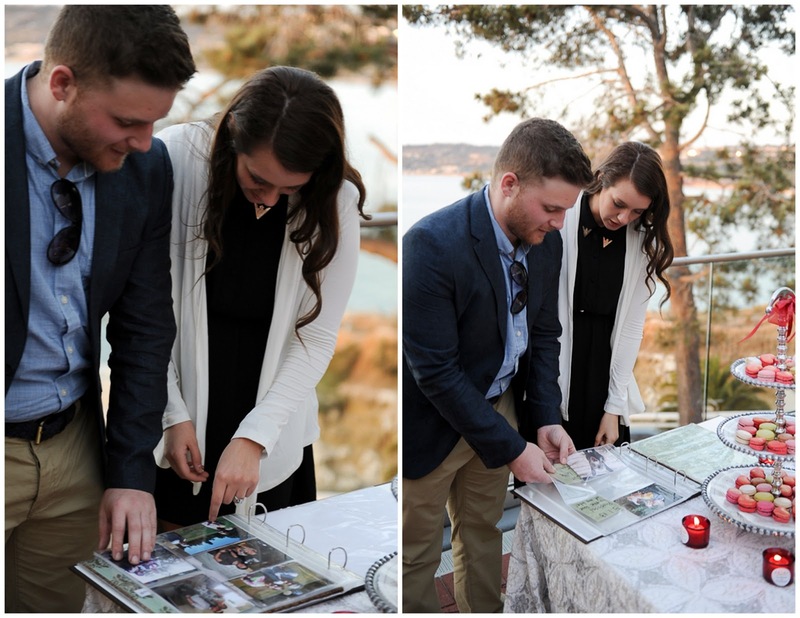 Finding the one photographer who could capture all your memories from your Engagement, Wedding, Holidays, babies and everything in-between. While we know life gets in the way, establishing a Photographer-Client relationship can decrease uncertainty about photography, decrease overall costs and create better images. 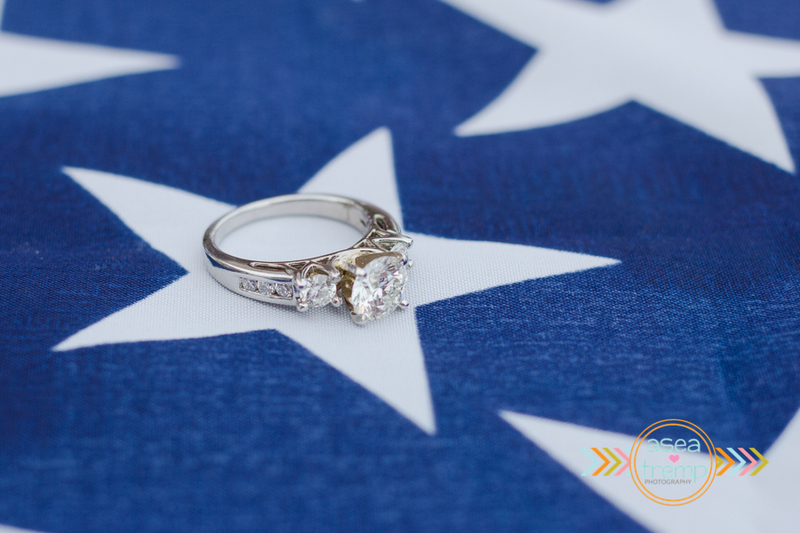 These items are very important, not only for you to establish with your photographer but for the photographer to know ahead of time in order to properly prepare for your wedding day. 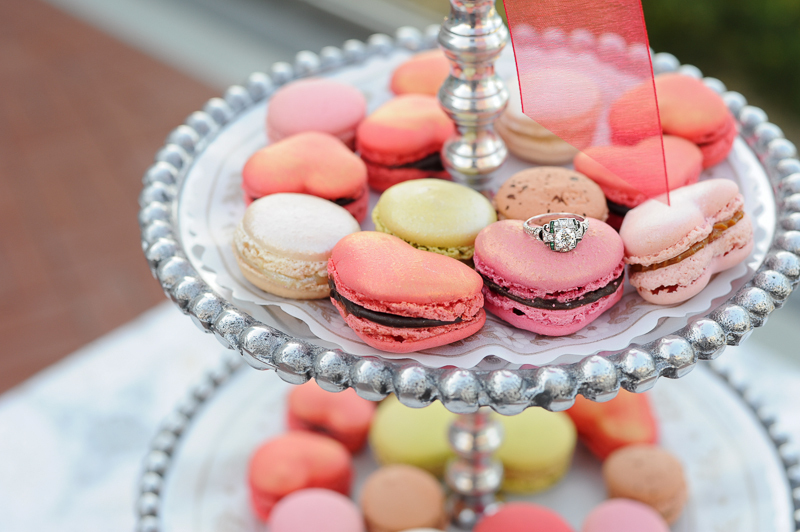 While your initial consult will cover most of these, there’s nothing like getting out there and creating a dry run of your wedding day. Hopefully this information has helped!! Thank you Kelly for sharing! 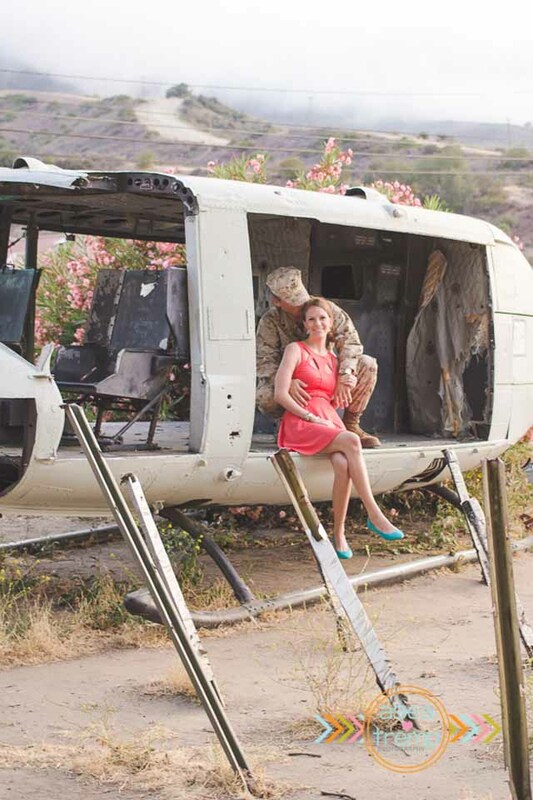 One of A Military Story's vendors, Lauren Nygard Photography of Oceanside, CA has a surprise proposal. Such an amazing moment captured by Lauren! 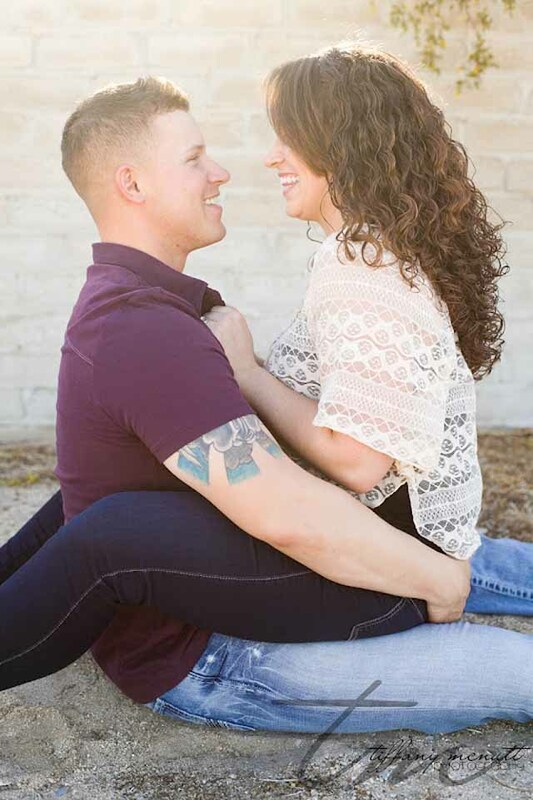 Lauren tells more about this romantic story, "Dom is in the Navy and came out to the San Diego area with his girlfriend, Amanda, to house hunt. He is currently stationed in Florida but will be moving to California for a recruiting tour. 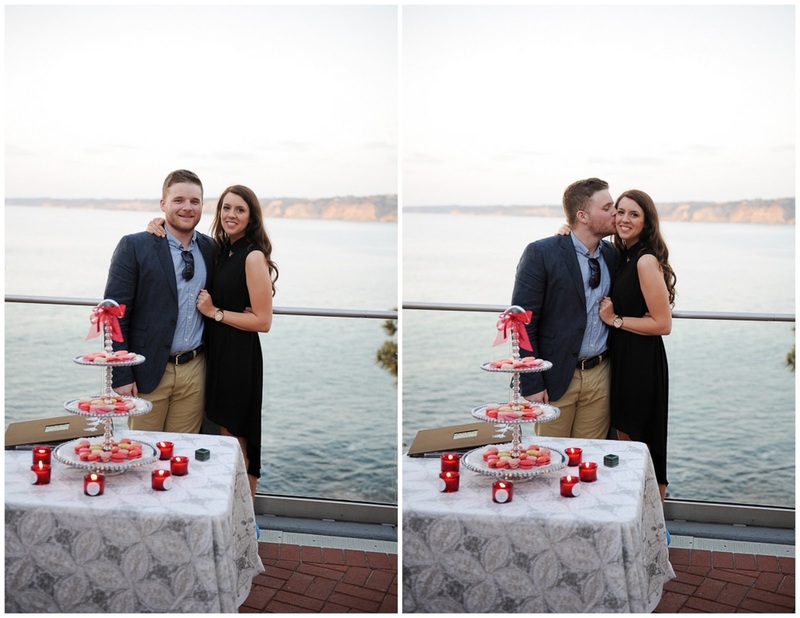 While here, Dom took Amanda to a nice dinner at George's at the Cove and set up this amazing proposal spot for dessert with macarons made by Grace Abdo of La Reine des Macarons. Dom met Amanda while passing through Atlanta a few years ago. He had a long layover, and decided to call one of his friends to meet up with him to pass the time. She brought Amanda with her, and they haven't stopped talking since then! 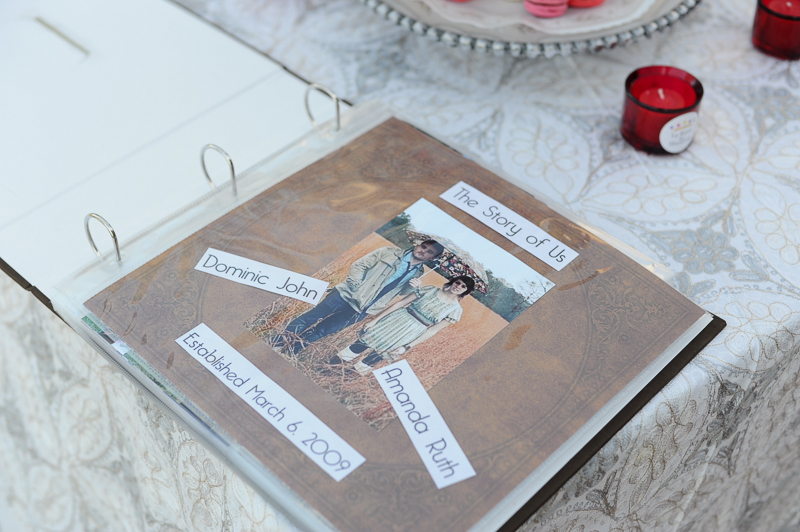 Dom had made a scrapbook of his love story with Amanda, and included the ring on the last page!" 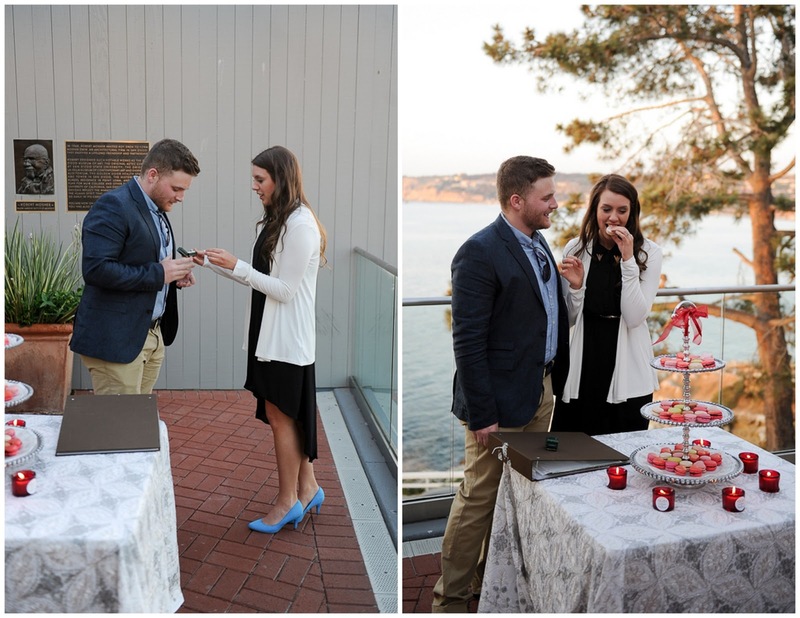 Congrats to Dom & Amanda thank you Lauren for sharing! 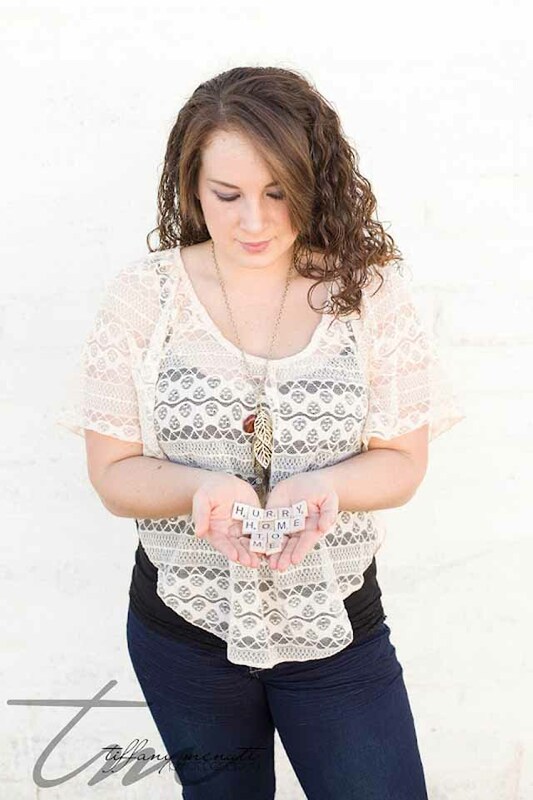 Tiffany McNutt portrait photographer located now in Wamego, Kansas. Also serving the North Central Kansas area. 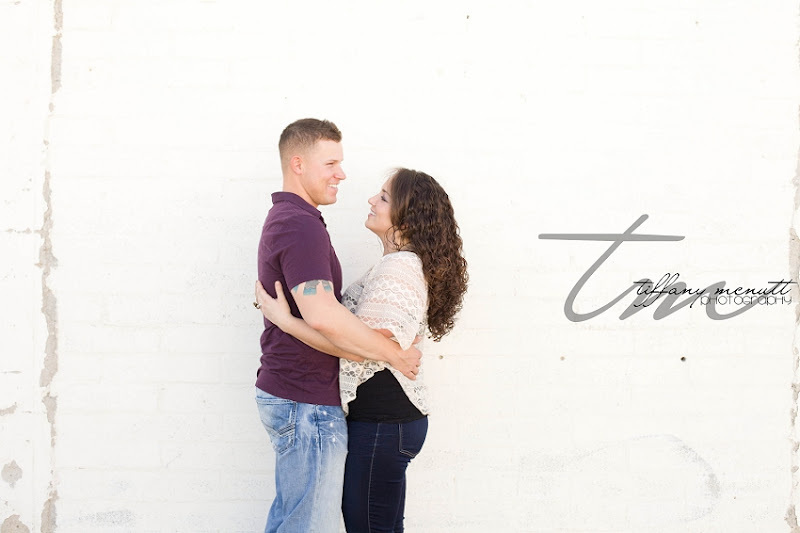 Tiffany is passionate about capturing her client’s memories through dynamic, fun and creative photos to be cherished for a lifetime and more. 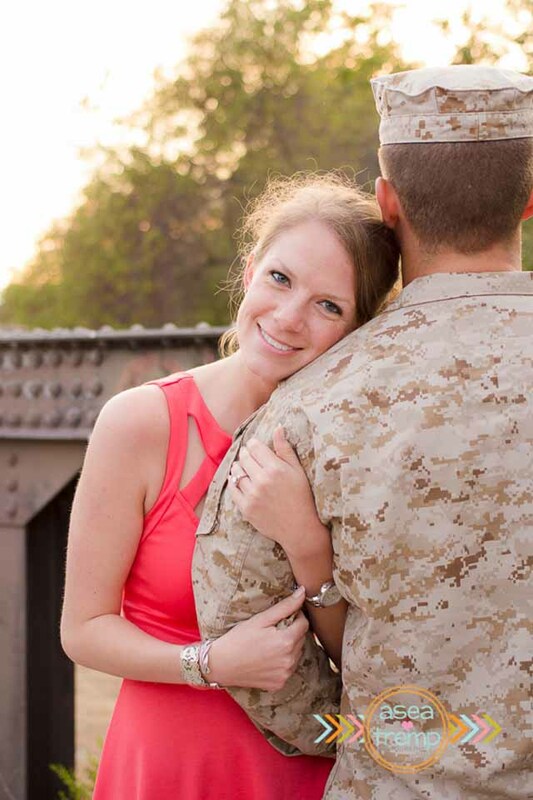 She is a proud Marine Corps wife and a mother with home-grown roots in Kansas. Tiffany and her family just moved back to Kansas after 5 1/2 years in California, where she was able to stick her toes in the sand due to the Marine Corps. 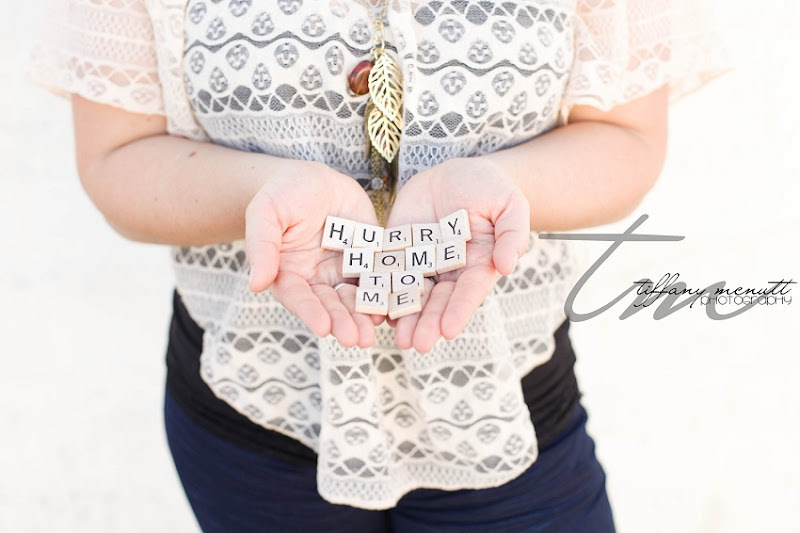 Tiffany specialize in couples, maternity, family, military homecomings and more. You may remember her from her anniversary shoot here. 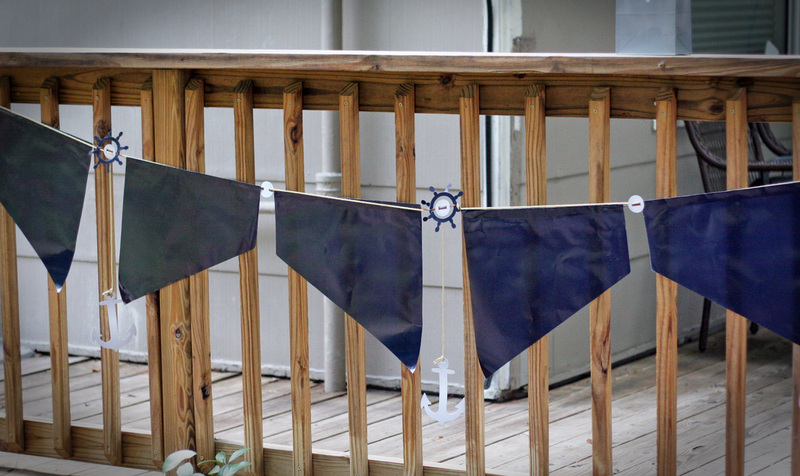 She is currently on maternity leave and getting ready for a little lady to be born! She will be back shooting sessions in late September!! 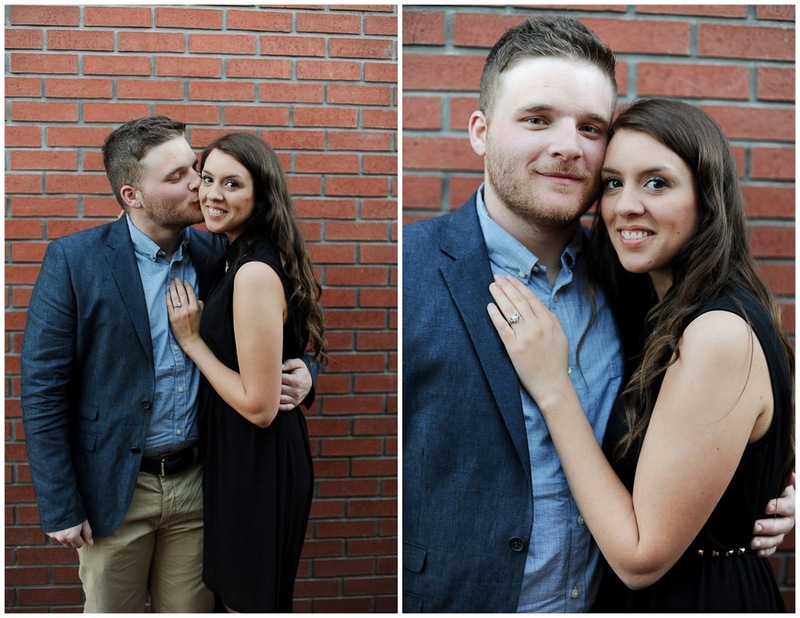 Tiffany has shared a little about these love birds, "Andréa and Chase always know how to make a session so fun with cracking jokes the whole time!! 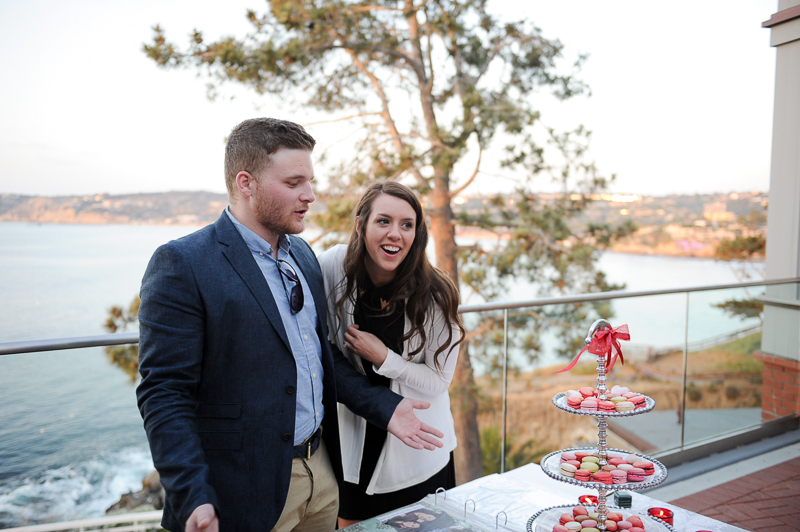 I swear it just feels like I photographed their Homecoming not that long ago, but then again I was big and pregnant when it happened with our sweet 2nd little man. Andréa and Chase were thankfully down for everything I threw at them. And this session turned out AMAZING!! 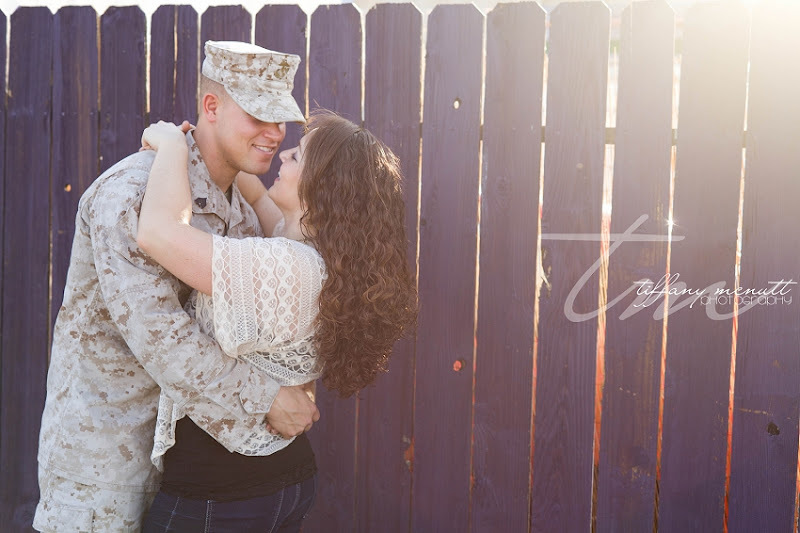 Even found this cute little purple fence, that I LOVE : ) Chase was gearing up for another deployment and it was right around the corner. I knew they are just ready for it to begin so they can start the countdown to homecoming!! 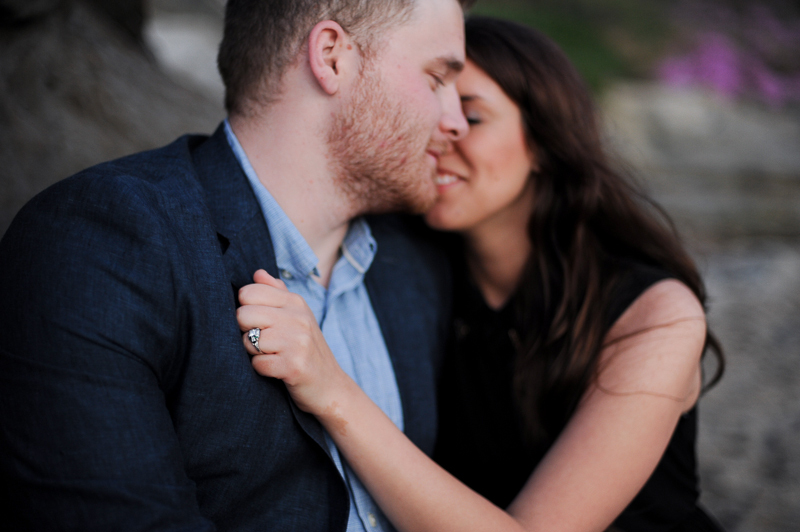 These two have become a part of the Tiffany McNutt Photography family and I sure do miss them since we have moved!" Thank you Tiffany for sharing these photos I LOVE the scrabble image. FYI Chase did return safely!! 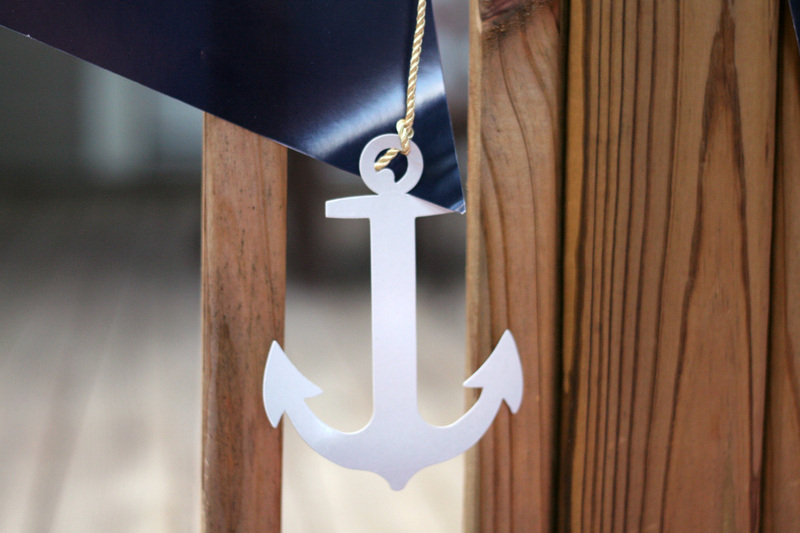 I love to decorate for parties so when I came across this super cute sailor party I had to share it!! 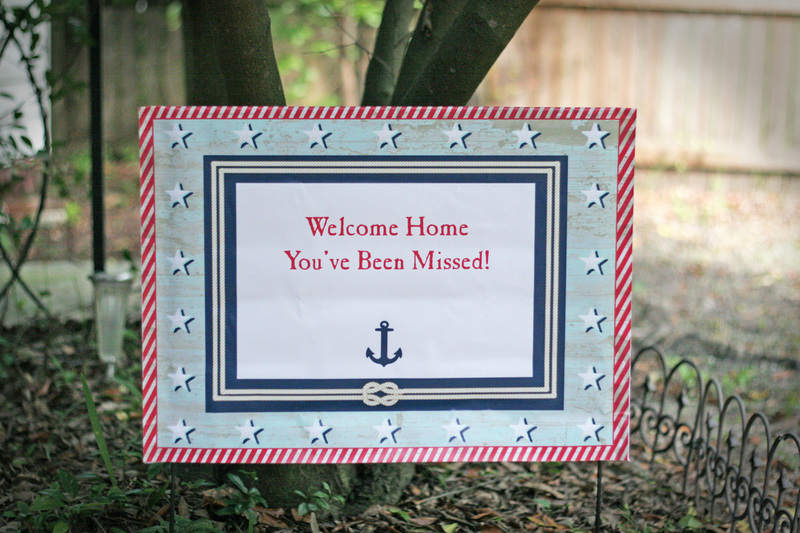 Plus Valerie has some great ideas and feelings to share about homecomings. 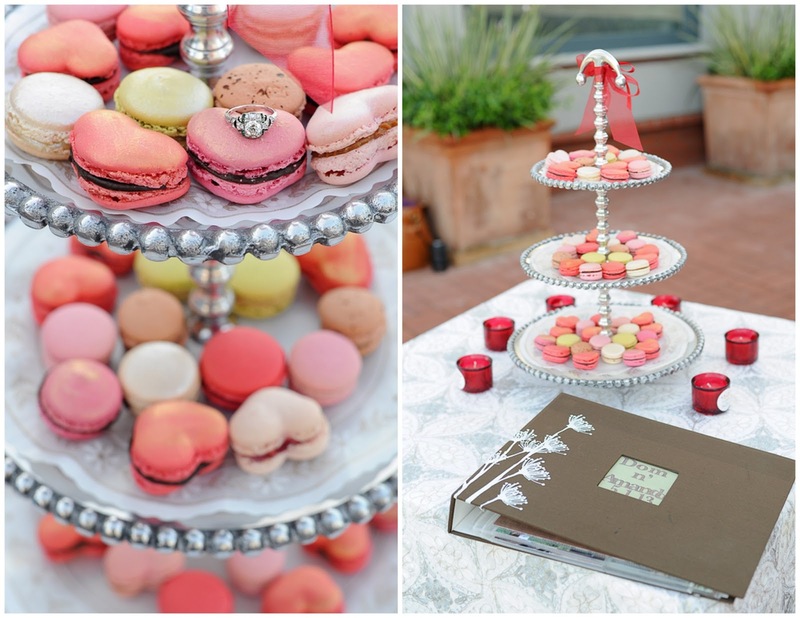 Valerie Pritt is an event coordinator of Fleur de Lis Event Consulting who is passionate about creating personal and unforgettable moments. 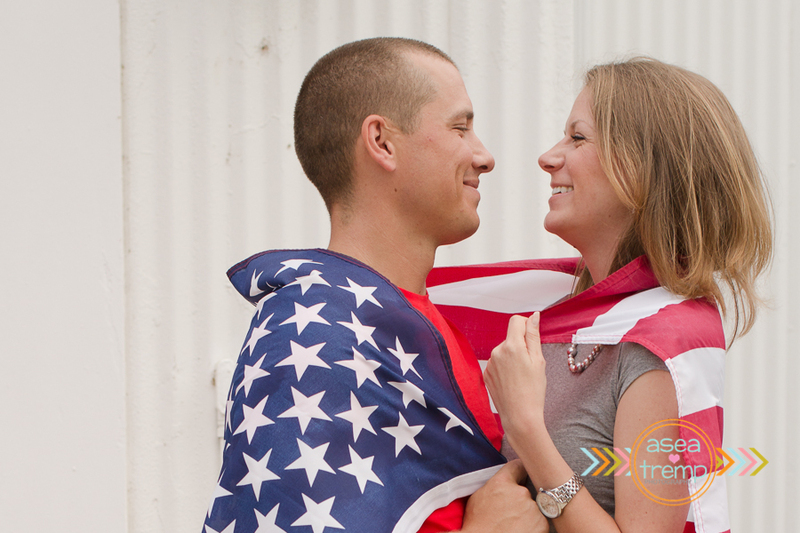 As a navy wife she understands the pain when your husband works long hours, unpredictable schedules, long deployments and extended detachments. In fact, her husband just got home last month from a six month deployment or “vacation”, as they like to call them to keep it positive. 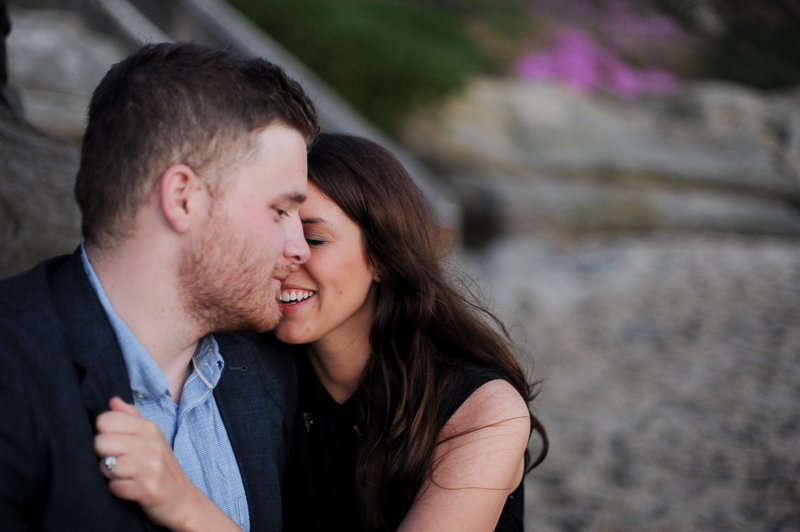 "What a joyous occasion it is when you have your loved one back in your arms again. But as great as it is, it can also be a very exhausting and difficult time of readjustment. 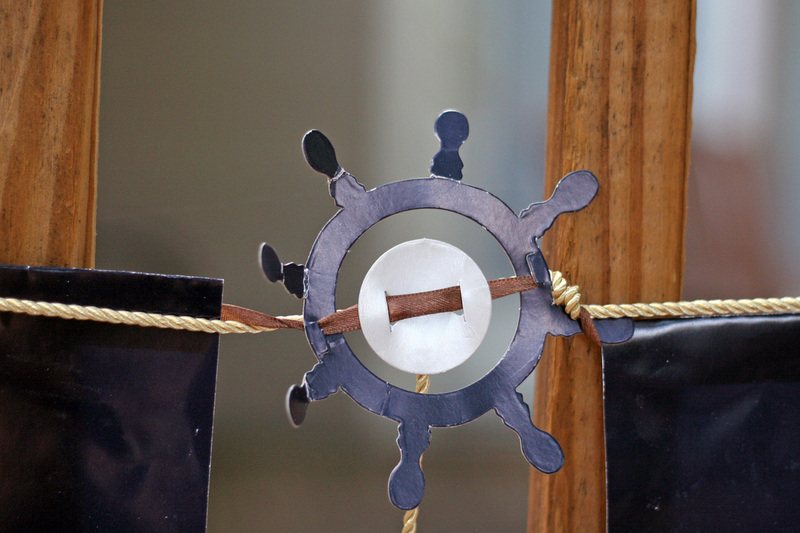 You can easily get bombarded with friends and family members who want to say “hello” and ask about the experience. This can be hard to take when you just want to have some quality time and get them acclimated to being in the household again. To combat this, I decided to have a barbecue in my husband's honor one week after his arrival. 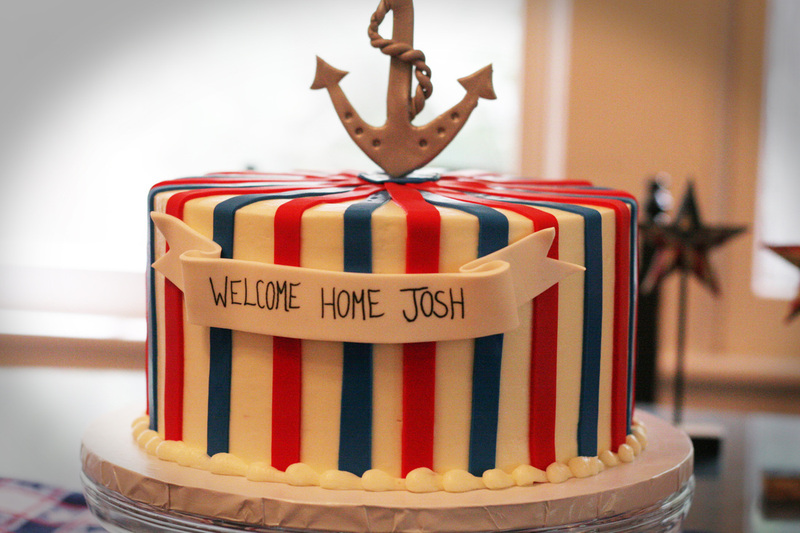 A barbecue is a great way to give your friends and family the opportunity to swing by and welcome him home. 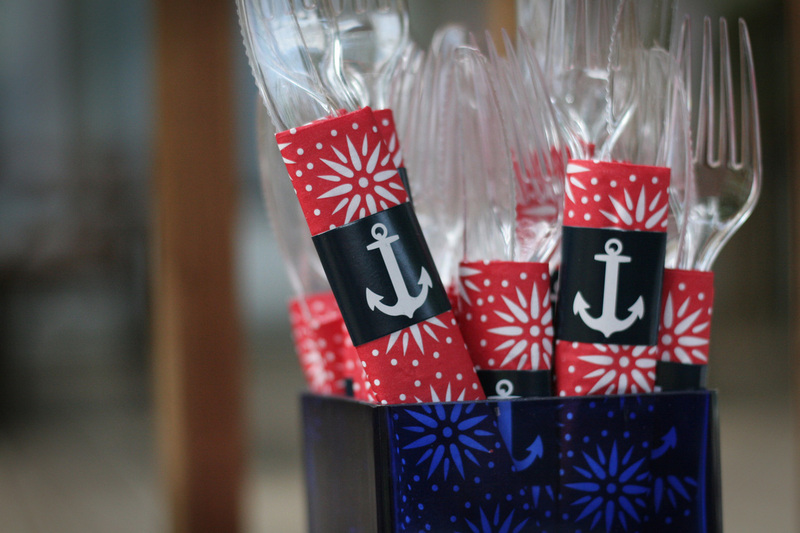 I decided to do a nautical theme in red, white and blue. 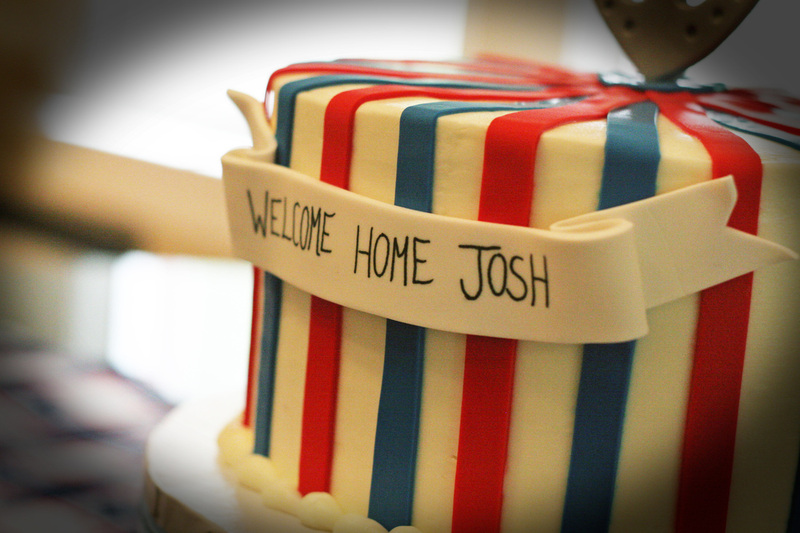 The cake was absolutely fantastic and quite impressive. 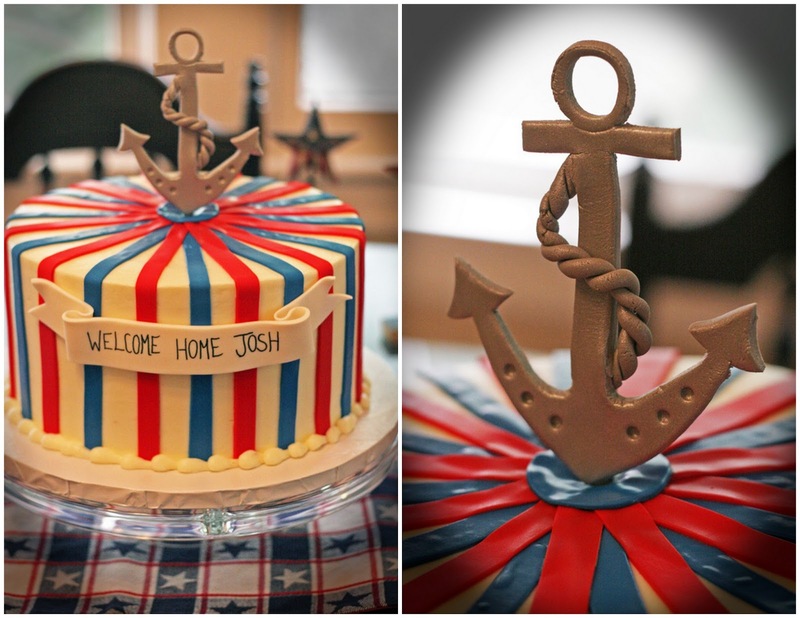 It was done by a wonderful baking company called For the Love of Cake in Avondale (Jacksonville FL). I individually wrapped plastic flatware in a red napkin and used an anchor napkin ring to secure the bundle for a personal touch. 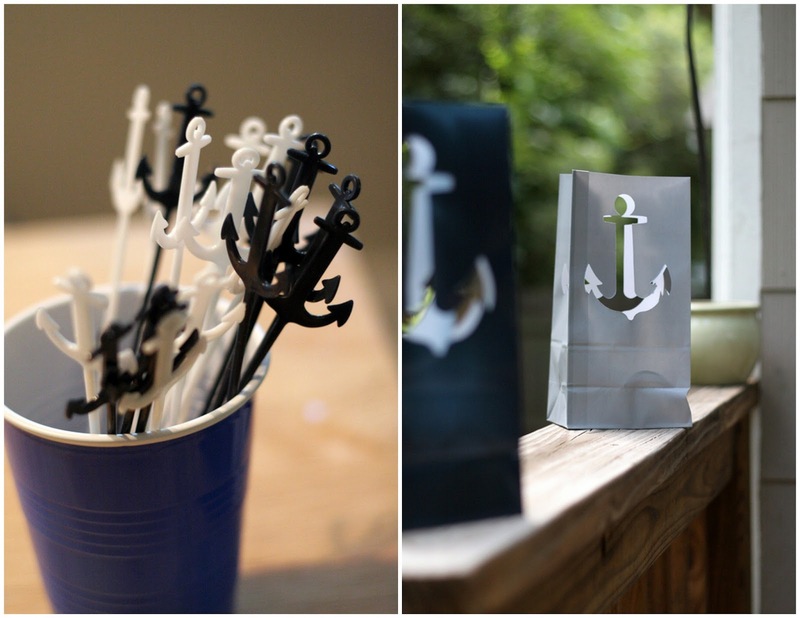 Each drink had an anchor swizzle stick. 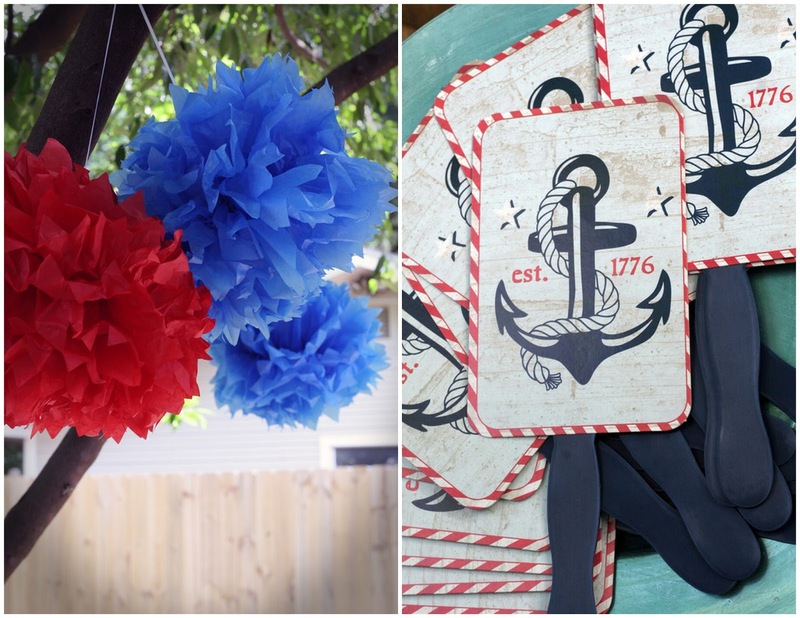 Outside there were red and blue pom poms, a nautical banner and fans for guests to use if too hot. But luckily, the weather was unbelievable for June and a perfect day for a BBQ." Thank you Valerie for sharing this, I'm sure my readers will be inspired by you in many ways. 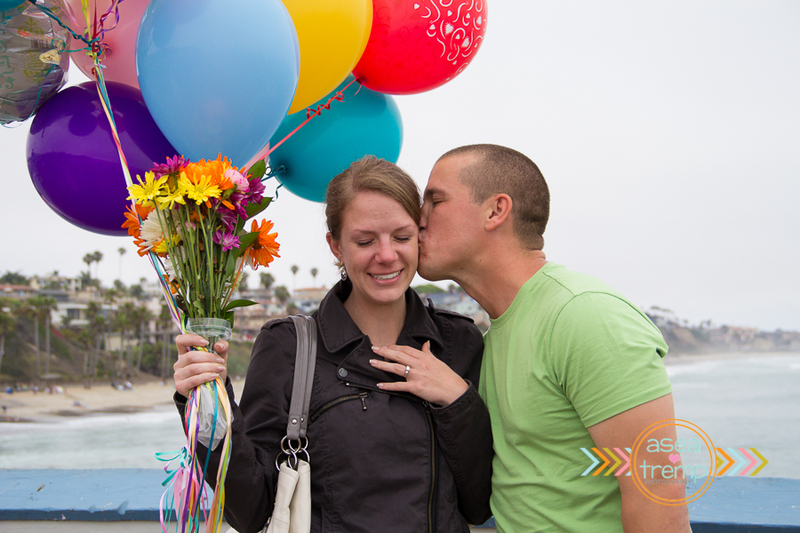 Asea has an amazing surprise proposal to share. 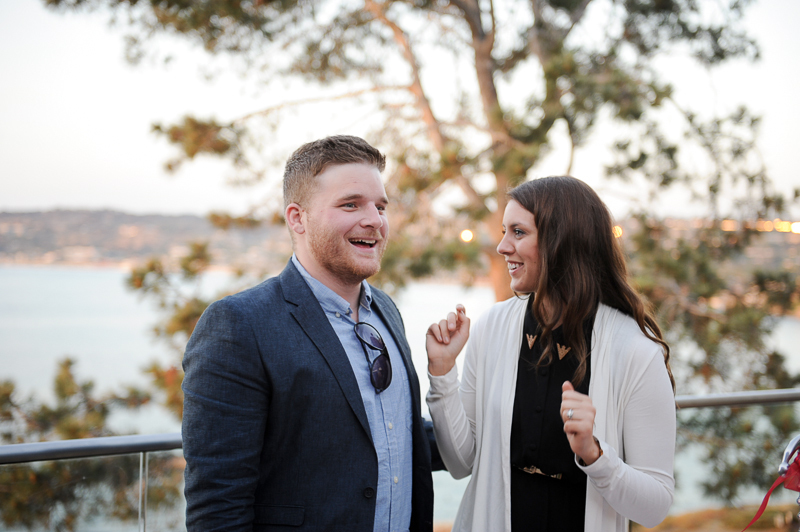 Asea describes, "A friend of Matt's contacted me a few weeks ago, looking for someone to capture a very special surprise engagement. 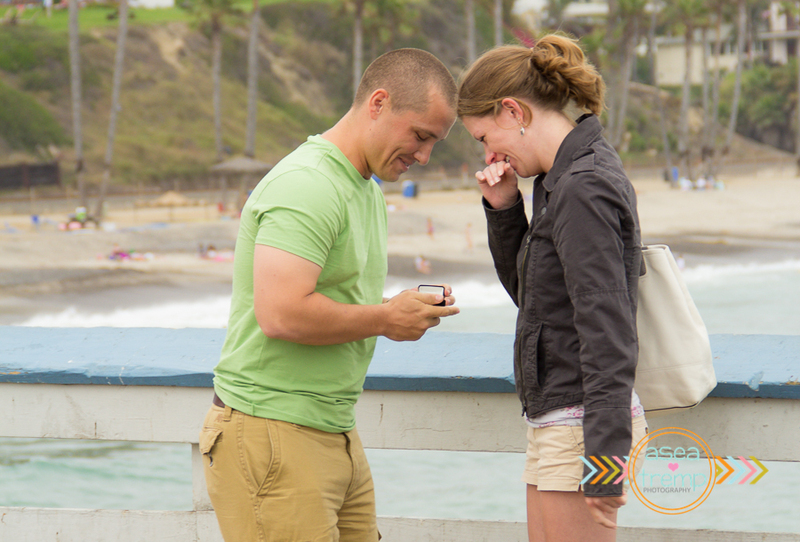 Matt was planning to surprise his girlfriend with a ring during an upcoming visit to California. I was instantly excited to be a part of his master plan and offered to donate this very special session as a Welcome Them Home volunteer. Although not a homecoming, it was still a really special event for a Marine who has served our country and I couldn't think of a more deserving couple! On a very gloomy Wednesday afternoon, I met a friend of Matt's on the San Clemente pier. 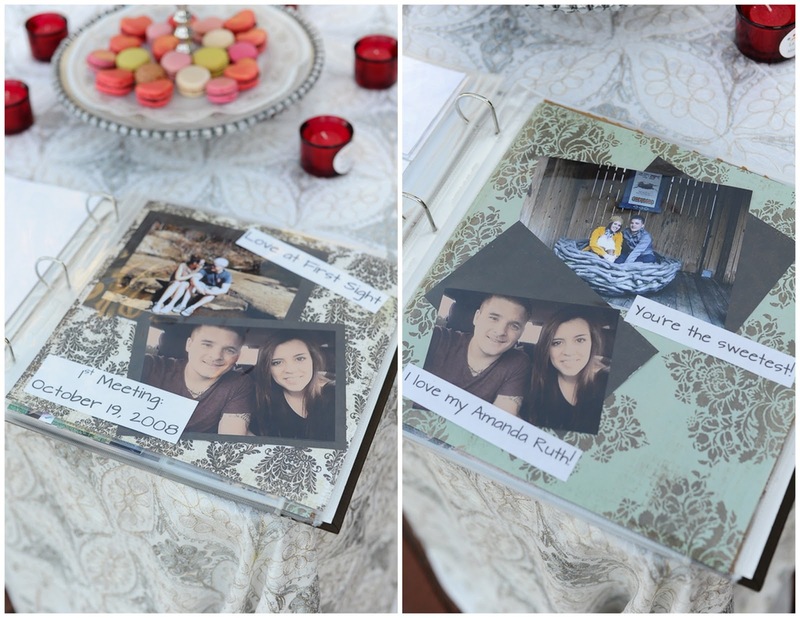 He walked me through the plan, where they would be and what other exciting surprises were planned. Then we each staked out our spots, he hid inside the bar while I pretended to photograph surfers in the water. I was just DYING with excitement while I waited for them to arrive, I felt so sneaky!! Finally I got the text from the lookout that they were on their way... green shirt and blue jacket headed your way! As they passed by me, I turned and followed them very casually down the pier, snapping away. They were just adorable, walking down the pier hand in hand, so in love. 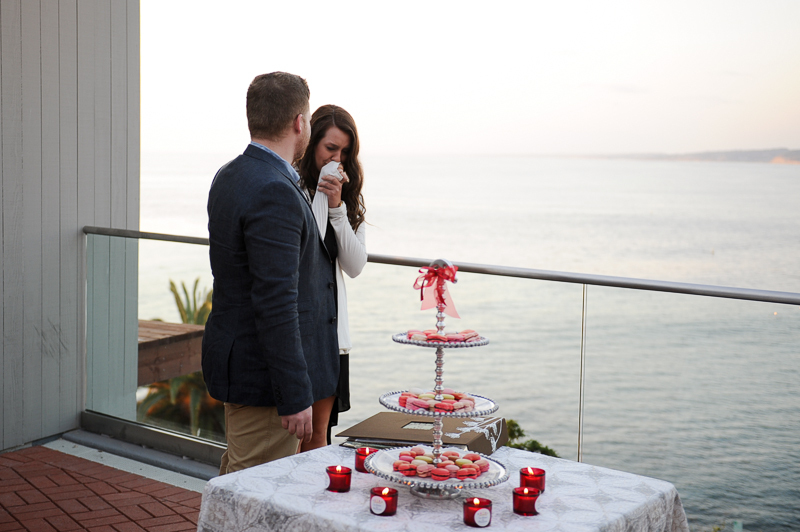 When Matt finally settled on a good spot, they stopped and chatted, hugged, and just soaked in the beautiful view. 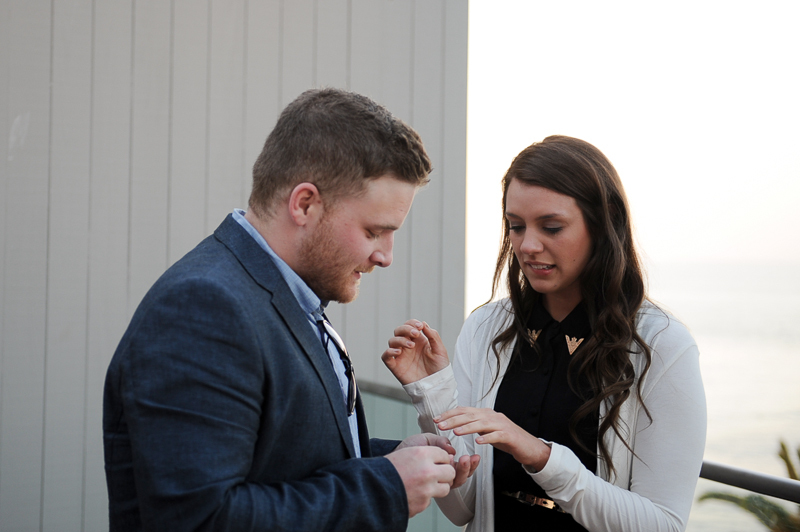 And then, the big moment, Matt got down on one knee and popped the question. She said yes!! Out came balloons, flowers, and good friends to celebrate with them, all of which had also been hiding out waiting for their queue. There were hugs all around, and lots of excitement. A few days later, I met up with Matt and Dawn again, this time at Camp Pendleton, for a more formal engagement session before Dawn had to head back home to the midwest. We drove around the base and hopped out wherever inspiration struck, ending the day with a beautiful sunset shot. 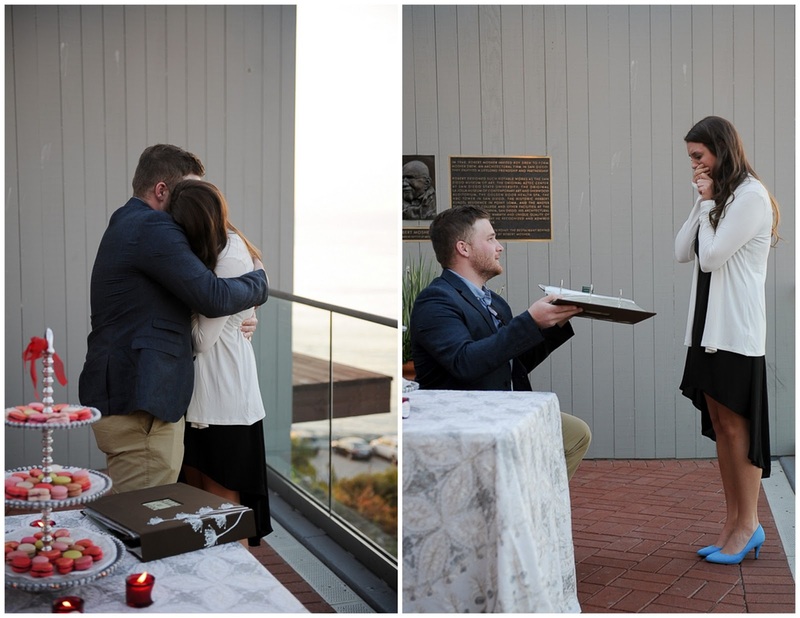 Not even a pesky marine layer could put a damper on their day!" Oh Man!! Thank you Asea for sharing this adorable special moment. Are you ready for the photos to go along with the story? !